The Strathmore Business School (SBS) Doctorate Scheme is aimed at enhancing access for graduates who have an interest to pursue a doctoral degree with SBS Partner Schools. These schools include IESE Business School, Barcelona (Spain); Sauder School of Business, Vancouver (Canada); St. Gallen Business School, St. Gallen, Switzerland and Nanyang Business School, Singapore. Applicants to the SBS Doctorate Scheme also have to meet the competitive admission requirements to the partner school of their choice. SBS does not guarantee admission to any of the partner schools. Admissions to the partner schools require, among other things, a good score in the Graduate Management Admission Test (GMAT). Currently, GMAT takers from Africa underperform those from all other world regions thus reducing the number of African students admitted to good doctorate programmes globally. The SBS Doctorate Scheme aims to alleviate this drawback by recognizing graduates who adequately prepare for GMAT and attain good scores. SBS will refund the GMAT examination fee to the ten best graduates who apply and are selected to join the Doctorate Scheme. Graduates interested with the scheme should apply for selection by completing the online application form and paying a non-refundable application fee of Kenya shillings one thousand only. Selected applicants will be required to pay to SBS a refundable deposit of KES 23,000/= (Kenya Shillings twenty three thousand only) for their GMAT examination. SBS will refund the entire fee deposit to the first ten selected applicants who earn a GMAT score of six hundred and fifty or more. Applicants are advised to prepare well for GMAT. Deposit a refundable GMAT fee of KES 23,000 with SBS within three weeks after selection. Sit the GMAT examination within the twelve weeks period after selection. During the GMAT registration process, include SBS as one of the recipient schools of their GMAT score. SBS GMAT code is P9Q-MK-54. Applicants are advised to start preparing for GMAT as soon as possible after applying to the SBS Doctorate Scheme. 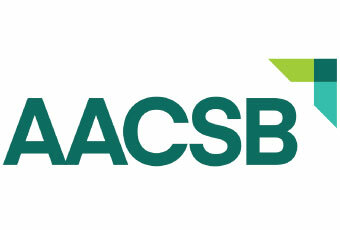 This will enhance their chances of doing well in GMAT and possibly qualify for the SBS GMAT fee refund. Candidates should also check on the admission requirements for the partner school of their choice to apply for admission. The admission to the doctoral programe is made by the partner school.